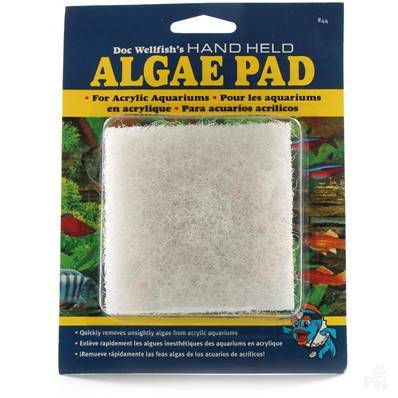 This durable pad is what you need to clean the algae from the nooks and crannies of your acrylic aquarium. The pad is indestructible and will last for years. 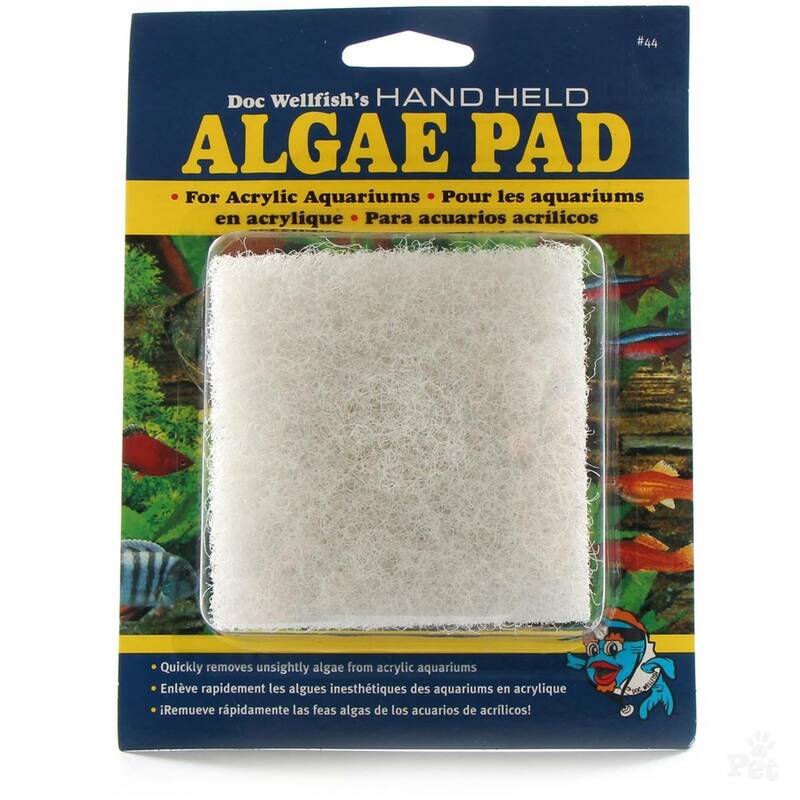 It is a hand-held pad that you can immerse in your aquarium to clean those hard to reach corners leaving your tank spotless again.